You have GOT TO GET THIS RECORD! I guarantee you'll like it. I've tested it on my neighbors, gang members, and anyone I could put a pair of headphones on. This album rocks. And amazingly, I recorded it in my truck! This album is about my life the past two years since my family broke up. 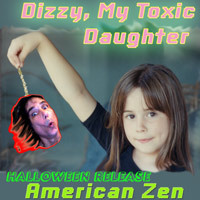 I've been bouncing around working as a stagehand, shoveling dirt, writing screenplays, writing the Supersoul 13 book, and performing this album. 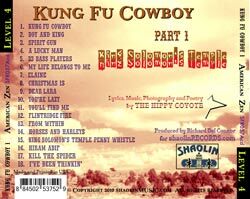 The Kung Fu Cowboy Rock & Roll Movie 1 movie has been my life and world the past year. I broke down the screenplay and budgeted it. Then I got some professional UPMs to look over my budget. They corrected me and complimented me. So that's done. I have a budget of $12.5 million to make this movie union in Los Angeles. So we budgeted it a $4 million. That was when I started learning all the changes and union requirements and special EFX budgets... which raised it to $8 million. I like that number and I worked hard to keep it at $8 mil, but I was relearning the business and had a few more lessons to learn. Finally, I got the budget to $12.5 mil which included a huge $500,000 reward for the Executive Producer or persons obtaining the financing. That was a year ago, so now wages have increased... but I'm not redoing the budget. So now I've got a financier, a big money broker who builds hospitals and businesses around the world. The money is coming into the USA via Germany? I just noticed I hadn't updated this page... in a while. So much has happened in the last six months! 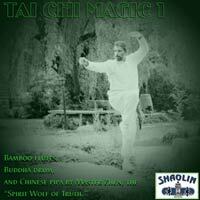 I moved to San Diego to relaunch the nonprofit organization TAI CHI YOUTH. It was important to exhaust this possibility. My relatives and childhood friends had made words of hope and encouragement to me about "coming home to San Diego." Now I know it is important for me to leave San Diego -- again. The song "Scorpion Resurrection" was just written a few days ago. 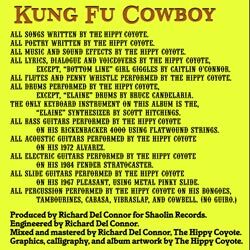 It sums it up and fits nicely as the THEME SONG to my upcoming movie: KUNG FU COWBOY ROCK & ROLL MOVIE 1: "Scorpion Resurrection" starring The Hippy Coyote as the Kung Fu Cowboy. Wow. A lot has happened in the past two years. I've moved to Las Vegas, Nevada to learn Lion Dancing. I became homeless in Las Vegas and began working in the entertainment business for Rhino Staging after two decades as a Mr. Mom. This picture of me and my strait was taken at one of the last gigs I performed in a Tujunga concert house in 2010. There's a video at YouTube.com from those gigs, "In Dreams." My daughter moved out with her boyfriend. My ex-wife sent my son to be raised by her father in Augusta, Georgia. I'm living in a camper on the back of my dark green 1996 Toyota Tacoma truck named, Davy Crickett. Yep. My car is a combination of Jimminy Cricket and Davy Crockett, "King of the wild frontier..."
I'm not sure whether I'm on vacation or just enjoying life too much. 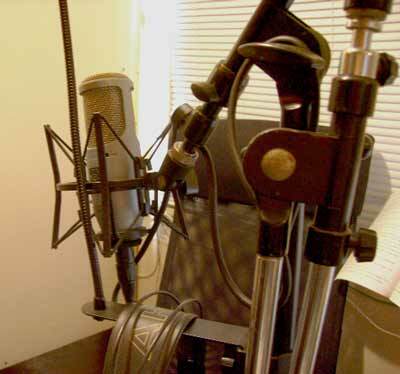 I want to be a record producer again. 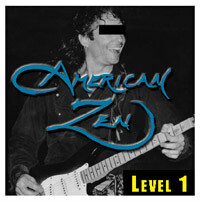 American Zen has been weaving a tale of spiritual growth since 1992 with the release of LEVEL 1 = PEACE OF MIND. 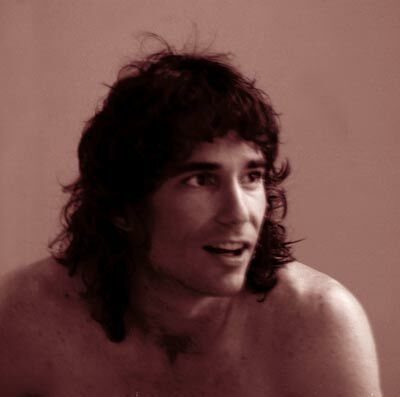 This album depicted Coyote's struggle for "Peace Of Mind" in Salt Lake City, after being badly advised to move there in 1991. This PEACE OF MIND struggle is the basic human condition of survival. Coyote slept in his van, dealt with thieves, and got burned by family members. 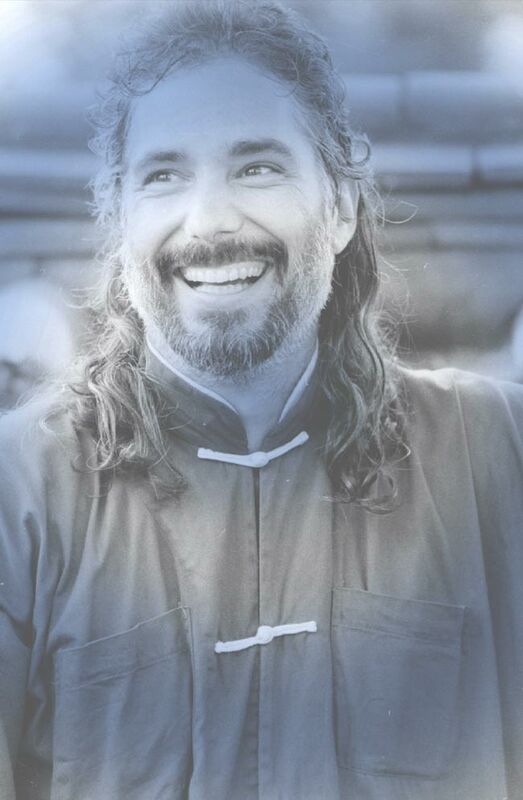 Eventually, Coyote was able to settle into Utah life and became a Kung Fu and Tai Chi instructor at six different schools, five churches, and Salt Lake City's, Liberty Park. Raising his daughter as a Mr. 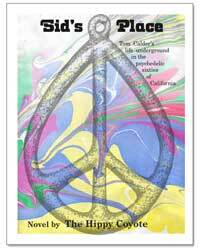 Mom, Coyote saw the world clearly from this survival-animalistic-human family viewpoint. By 1994, Coyote was established and semi-famous in Salt Lake City, Utah. The Governor knew him, the Mayor knew him, the Chief Of Police knew him, and every martial arts school in Utah knew him as a tournament judge and editor of the UTAH BLACK BELT MAGAZINE. Coyote's hassles with the Mormons subsided as many became students and friends. 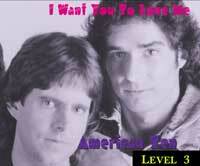 This insight into the Mormon lifestyle is the album, LEVEL 2 = CHRIST KILLER by American Zen. 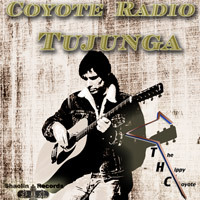 Coyote depicts the various lifestyles of conformity, polygamy, and spirituality from an inside viewpoint of the Church of Jesus Christ of Latter Day Saints. LEVEL 2 is about how RELIGION affects life for good and bad. The "Christ Killer"s are the people who use religion to hurt other people. Most people don't even make it to LEVEL 2 anymore. Most people don't have a religion anymore. Most people don't believe in God anymore. Most people are still in LEVEL 1, searching for PEACE OF MIND. When Siddhartha Gautama sat beneath the bodhi tree and began his Buddhist enlightenments, he was rising beyond religions to achieve LEVEL 3. This LEVEL 3, was when Buddha became a Buddha. He rose beyond religion and realized that spirituality was a blend of reality and imagination, life and spirituality, effort and relaxation...the MIDDLE WAY. This ability to know love and compassion beyond what your religion advises is the beginning of LEVEL 3 = I WANT YOU TO LOVE ME. When you can see beyond people's race, religion, and nationality, to see them as equal humans: you have risen to LEVEL 3. Unfortunately, few people can see without prejudice or resentment or vengeance or selfishness. So very few people rise to LEVEL 3 of Zen Buddhism. I think it is premature to call someone a, "Buddha," for reaching LEVEL 3, but they are at least at the beginning of TRUE ENLIGHTENMENT. With my family breaking up, all my financial stability was lost. With my kids leaving to follow their mom, I lost my investment in my family business and schools. Being smart doesn't mean you get what you want. 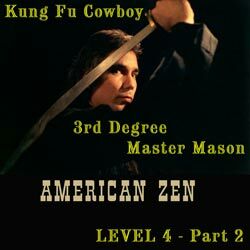 This chaos in life has put a different focus on the LEVEL 4 = KUNG FU COWBOY level. I had expected to spend this LEVEL with my kids and family developing our family Kung Fu schools. Instead, I have one foot in LEVEL 1, trying to survive and reestablish myself without any financial relationships with anyone else. I have had to step back into LEVEL 2 and reestablish my Buddhism again. 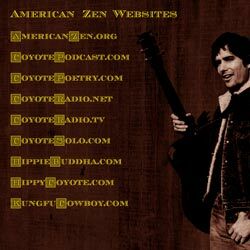 I am moving into the video world with 66 videos at shaolinINTERACTIVE.com This will be the relaunch of my Kung Fu and Shaolin Zen Buddhism. With my YMCA Tai Chi classes, CV Park Combat Tai Chi and Kung Fu Bootcamps, LEVEL 4 has become my world of reconfiguring my own identity and life again. That's part of the reason there will be four albums in LEVEL 4. I am going to need more time to reach LEVEL 5. In my current reality, LEVEL 5 is unattainable for me, even though I've attained it before. 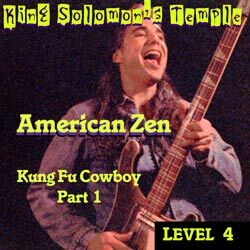 So let's dance in LEVEL 4 = KUNG FU COWBOY for now. This LEVEL 4 album has transformed from my autobiography to the story of King Solomon and Hiram Abif. This album has gone from a musical journal of my life to a rock opera about the murder of King Solomon's architect, Hiram Abif. I am excited to share this with you. 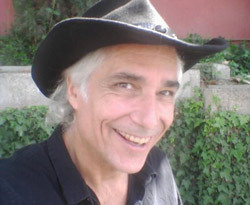 Richard Del Connor, The Hippy Coyote, became a 3rd Degree Master Mason, February 2009. Several months later I discovered my "Masonic Kung Fu." The symbols and philosophies of Freemasonry appeal to me and harmonize with my Kung Fu and Confucian ideals. The charitable and humanistic aspects of Masonry harmonize with my Zen Buddhism. i first became interested in record producing when I learned of George Martin's contributions to The Beatles' records. The album REVOLVER became my first project as an apprentice Record Producer to study and understand. 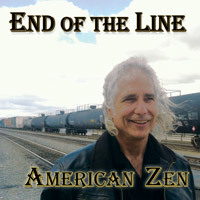 When I mixed and mastered the American Zen album, LEVEL 2 = CHRIST KILLER, I put the HIGH TIDES AND GREEN GRASS album by the Rolling Stones on top of my stereo, so that every time I listened to CHRIST KILLER I would have a benchmark to exceed in more ways than just recording quality--I wanted to exceed it in storytelling, creativity, and representing a period in time. Some other people who inspired me were Felix Pappalardi, who produced The Cream and Mountain albums, and the other inspirational producer was Mick Ronson of David Bowie's early albums. 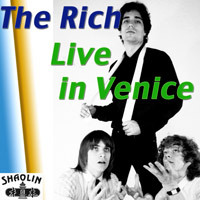 Vicente gets credit too, but Mick Ronson grew into something more diverse. "Mixed loud to be played loud," used to be a motto for many of the concert bands of the early 70s. I appreciated that as i had a really nice Kenwood stereo and later even hooked it up to my Cerwin Vega PA monitors with 18" woofers that could blow my sliding glass windows off their tracks. 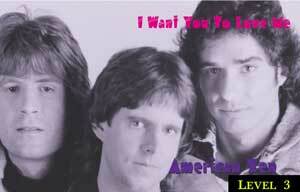 Then Supertramp's BREAKFAST IN AMERICA threw me for loop. 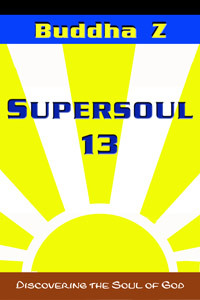 What an awesomely recorded album! 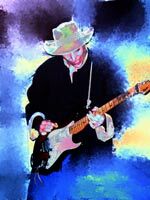 I'd been a fan of headphones, listening to Robin Trower, Jimi Hendrix, Revolver and Sgt. Pepper's Lonely Hearts Club Band by The Beatles.... and many other producers who impressed me over the years. Then, in 1979, I got hired to work at the Village Recorder while Supertramp recorded their next album. Fleetwood Mac were recording TUSK and Frank Zappa was recording SHEIK YOUR BOOTEE. I'd already worked a few years as a recording engineer, and I had already produced dozens of commercials and a couple albums -- so I wanted to see what these guys like Joe Chicarelli were doing and what I could learn from them. But they didn't want to hear what I had to say, so it was kind of like watching children argue and wander around aimlessly. There are many artists whose albums would have come out a lot better if they would have had me as their record producer. Copyright 1999-2014 Shaolin Music. All rights reserved.